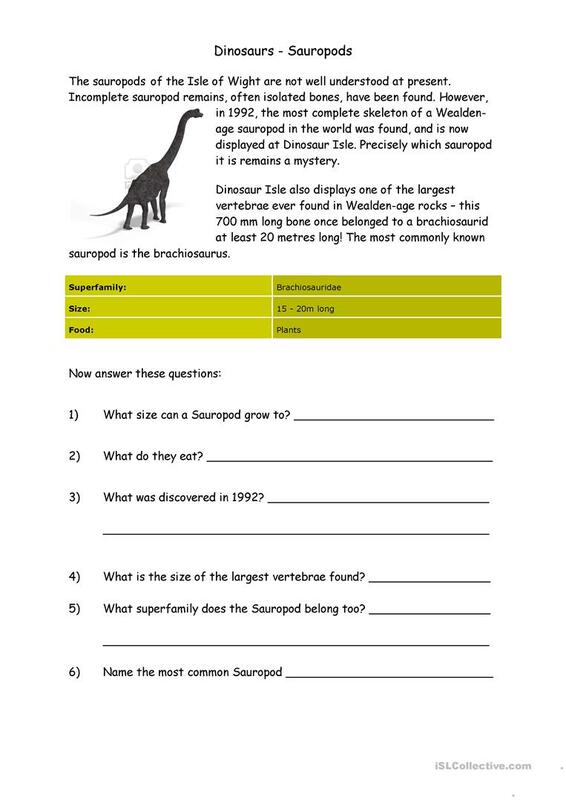 A reading comprehension about Sauropods with a question section at the end. The present downloadable teaching material is recommended for high school students, elementary school students, kindergartners and nursery school students and adults at Beginner (pre-A1), Elementary (A1), Pre-intermediate (A2), Intermediate (B1) and Upper-intermediate (B2) level. It is excellent for enhancing your pupils' Reading and Writing skills. It is about the vocabulary topic of Animals and Dinosaurs.